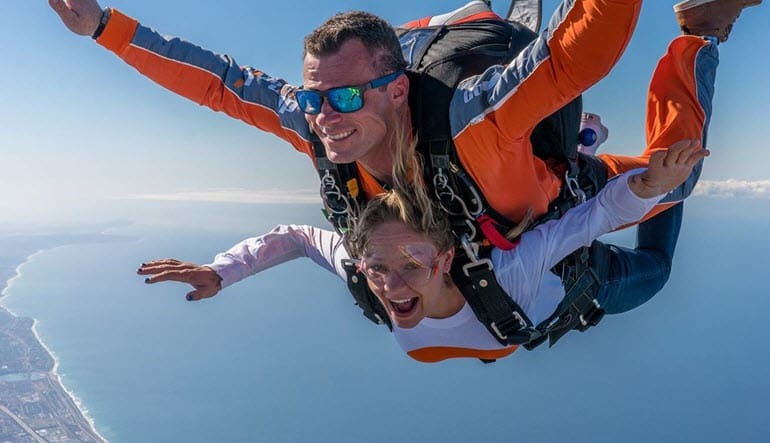 Just a short drive from Oceanside Harbor and Pier, this California skydive experience takes you up an exhilarating 13,000 feet for the plunge of a lifetime. 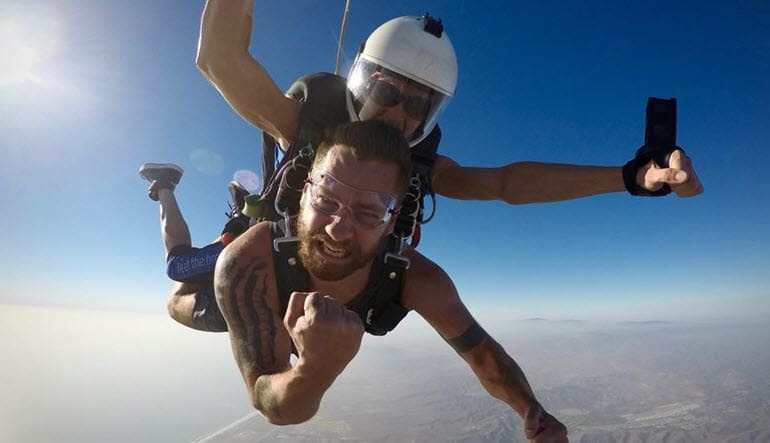 Just a short drive from Oceanside Harbor and Pier, this California skydive experience takes you up an exhilarating 13,000 feet for the plunge of a lifetime. No jumping experience necessary. 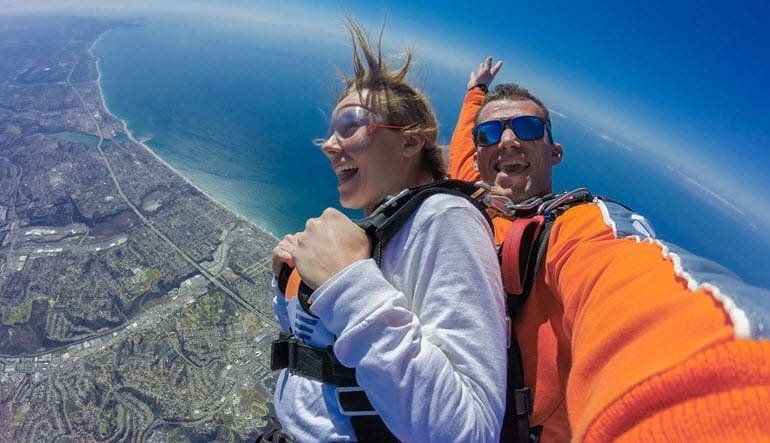 Skydive Oceanside only 35 minutes from Downtown San Diego! The only jump right at the Pacific Ocean! A quick ground instruction gets you acquainted with all the safety precautions. Next, take to the beautiful Californian skies in a PAC 750XL. 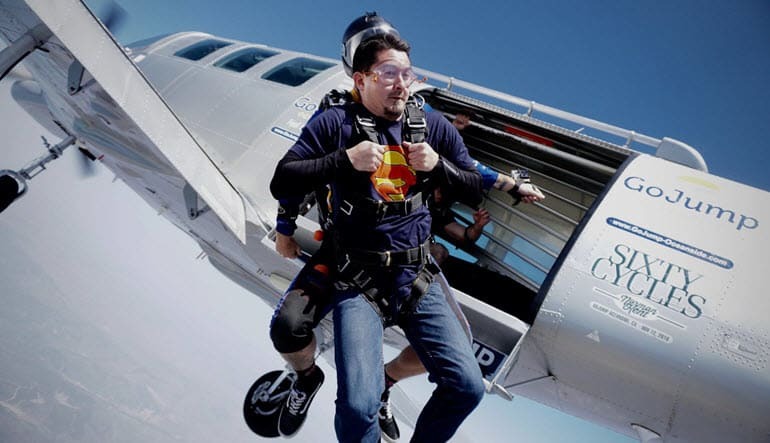 One minute of freefall at 120mph! Freefall at speeds up to 120mph for a full minute. The views are remarkable. The horizon stretches all the way out to downtown San Diego in the south and on the north-side, as far back as Dana Point and Catalina Island. 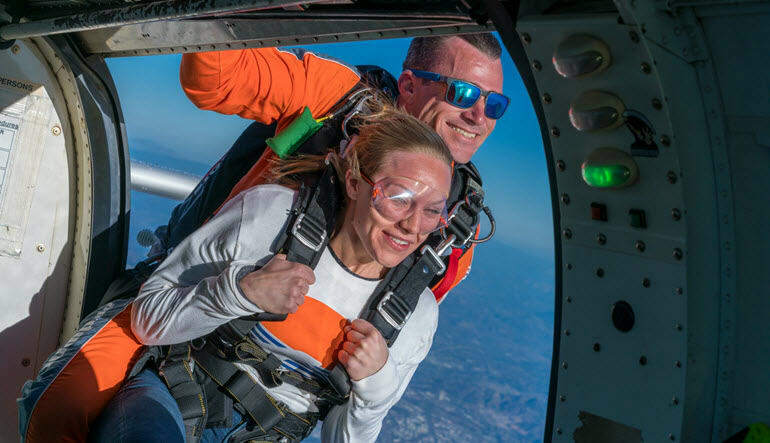 And at 13,000 feet, you’ll have more than enough airtime to take it all in! Little Cesar was my tandem jumper. I can't not say enough about how amazing he was. He really was the life of the party and made this experience just that much more awesome. His excitement and showmanship should be rewarded. He made it dun for my whole group. Amazing experience will do it again. Great experience for my daughter and I. They were so amazing! Everything went smoothly and perfectly. Definitely recommend Adrenaline to everybody! Max weight of 230 lbs.